Wood blinds are known because it offers a classical and elegant look that fit in any interior decoration. Wood blinds are not only attractive, but they are also durable that can last long for decades, which makes it extremely expensive. However, if you still want to achieve the classic look for your home interior and you just can’t afford to buy wood blinds, then faux wood blinds are great option. Faux wood blind are thirty percent less expensive than real wood blinds. 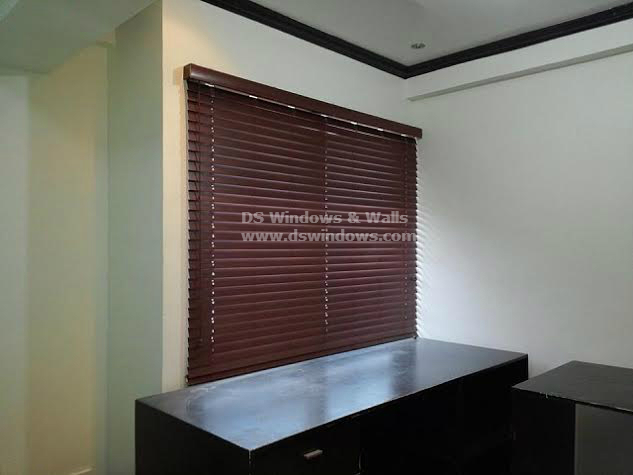 Our client from Taguig City, Philippines opted faux wood blinds for their newly bought house. Aside from being cheaper than wood blinds, faux wood blinds have much higher degree of resistance in moisture and heat and they are also resistant in water, which makes them easy to clean. Faux wood blinds are also durable since it has high resistance to humidity and heat, they also last in much better shape. DS Windows & Walls offers many varieties and colors of faux wood blinds. 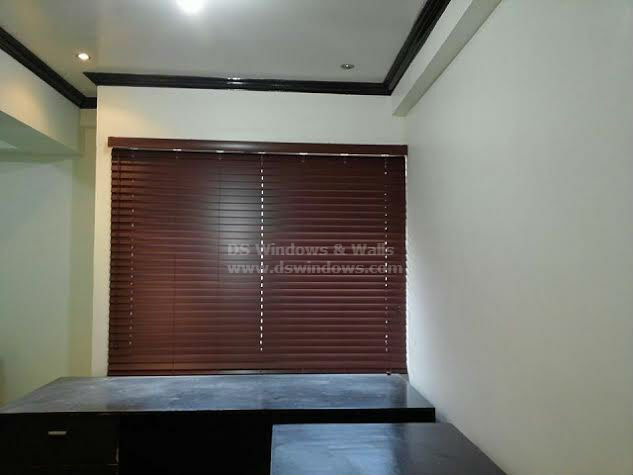 We also offers real wood blinds and foam wood blinds. For more information about our products and services, you can visit our shops located at 4th level Waltermart, Makati City, 3rd level Robinson Metro East, Pasig City, 2nd level Pacific Mall, Lucena City. 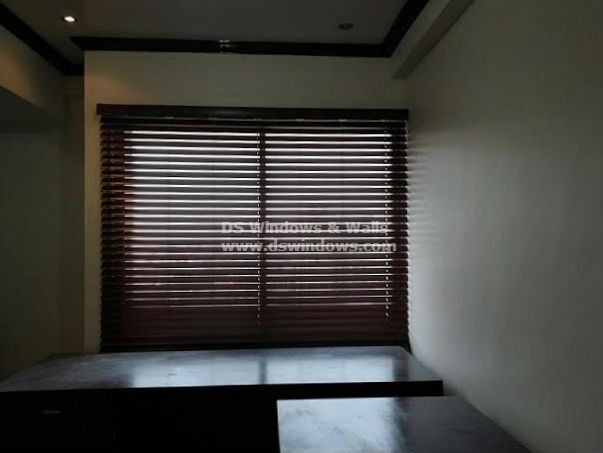 For inquiries you may email us at inquiry@dswindows.com or call us at (02) 893-1373 / (02) 403-3262 / (02) 668-9668 / 0916-311-3909.